The Four Agreements (1997) is your guide to breaking free from negative patterns and fully realizing your true self. It was a New York Times best seller for over eight years. These blinks explain how society raises people to conform to a strict set of rules and how, with a little effort and commitment, you can set your own guidelines for life. 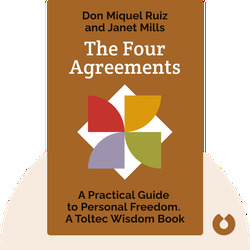 Don Miguel Ruiz was expected to follow in his family’s footsteps, carrying on ancient Toltec wisdom as a spiritual teacher. Instead, he became a surgeon. It was only after a near-death experience that he rediscovered the traditional wisdom of his people and devoted himself to becoming a spiritual master, or nagual. 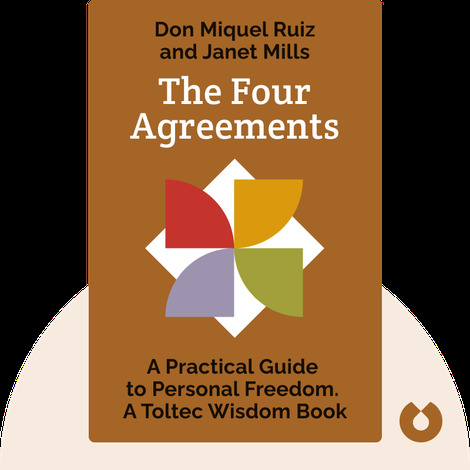 Janet Mills is the founder and president of Amber-Allen Publishing and the co-author of the Toltec Wisdom series.